Yes. That, at least, is the premise of the new website John Wayne Gacy's Other Victims. Gacy is known to have murdered 33 youths, 29 of whose bodies were found buried at his Norwood Park home when he was arrested in 1978. But Alison True, who was editor of the Reader from 1994 to 2010, and independent TV producer Tracy Ullman believe Gacy killed and buried more people than that. "Are there others?" asks the site they just launched. "Detective Bill Dorsch believes there are and he's pretty sure he knows exactly where they're buried. This site documents the efforts of Dorsch, a career Chicago homicide detective, to find and share new evidence in the case of the notorious serial killer John Wayne Gacy. 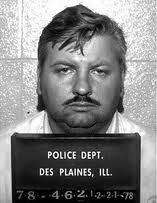 "Gacy, who ran a small contracting company in Chicago, was arrested in 1978 and eventually confessed to having killed 33 young men and boys. He buried some of their bodies at his home, and others he dumped in a nearby river. Over the last 15 years, Dorsch has learned not only that Gacy may have worked with accomplices, but that a property on the city's northwest side almost certainly contains the remains of additional victims." 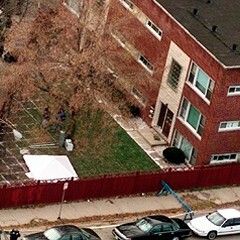 The purpose of the site is to focus attention on Dorsch's claim and compel authorities to make a serious search of the property, which is in the 6100 block of West Miami Avenue. Dorsch's suspicions are personal. Gacy was the property's caretaker in the 70s, and for a while his mother lived in the basement apartment. Dorsch lived nearby. Dorsch says late one night he ran into Gacy outside—shovel in hand. Dorsch dismisses that 1998 dig as perfunctory, an empty gesture that—Steve Mills tells us—is now cited by the Cook County State's Attorney's Office as reason to deny sheriff Tom Dart the search warrant he needs to conduct a new search. John Wayne Gacy's Other Victims promises, "We're going to be rolling out some stunning material."